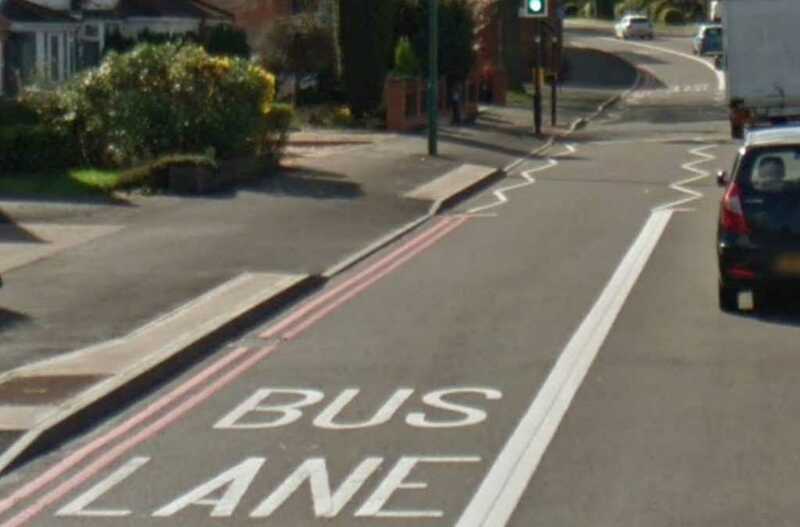 Thousands of drivers continue to be slapped with fines for using a Solihull bus lane. In a six month period, 2,944 penalties were issued to vehicles which had ventured into the specially designated route along Lode Lane. Road chiefs have said that a total of £48,569 had been raised through these fines, which were dealt out between April and September last year. In 2017/18, a total of £81,569 flowed into council coffers and the local authority has indicated that a similar sum could have been collected by the time the current financial year comes to a close. Revenue from the fines is moved into a specific reserve to cover the annual maintenance and operating costs of the system, which is enforced using CCTV cameras. A report presented to Cllr Ted Richards, cabinet member for transport and highways, last week provided an update on the scheme – which was introduced in September 2017. Trevor Eames, from Solihull Ratepayers’ Association, who attended the meeting, said afterwards that he thought that bus lane restrictions needed to be “standardised”, with the difference between schemes continuing to confuse motorists. “You’ve got so much variation in how they operate and who can drive in them in different areas,” he said. Official figures, released last month by the Ministry of Housing, Communities and Local Government, revealed that drivers across England paid out a total of £39 million in bus lane penalties during 2017/18. Solihull’s system was introduced with the intention of improving traffic flow and journey times for bus users along one of the busiest routes into the town centre. Those who are caught flouting the restrictions face a £60 fine, reduced to £30 if paid within 14 days. Some motorists have pushed for the 24/7 scheme to operate only between 7am-7pm, although the council has previously said that the shift patterns at the Land Rover plant justify the current arrangements. Aside from buses, use of the lane is restricted to pedal bikes, motorcycles and hackney carriages.